Female mine worker, historical artwork. 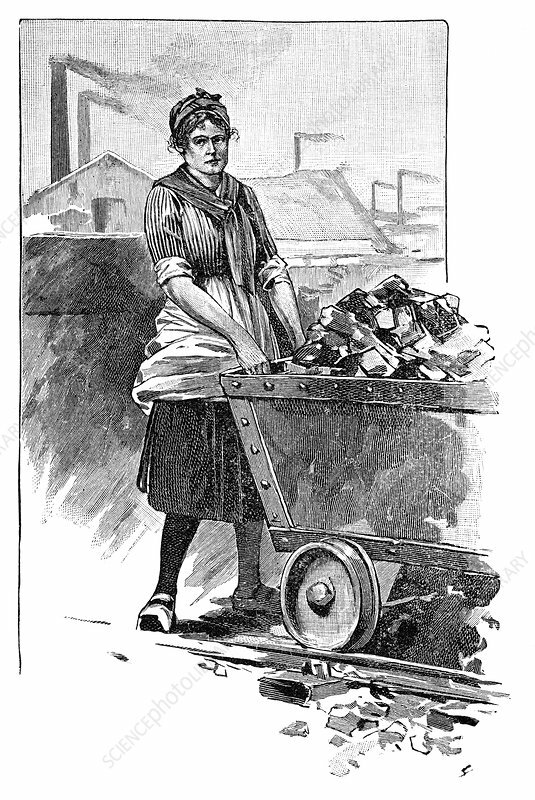 Although men usually carried out the actual excavation of ores and coal, women and children often performed labour-intensive roles such as moving the excavated material to the surface, and in carts (here on rails) to storage or distribution areas. Laws were passed in the UK against the use of female and child labour, but the practice continued in other countries. This mine is in Germany. Artwork from the third edition of 'Les Entrailles de la Terre' (1902) by French author Eugene Caustier.